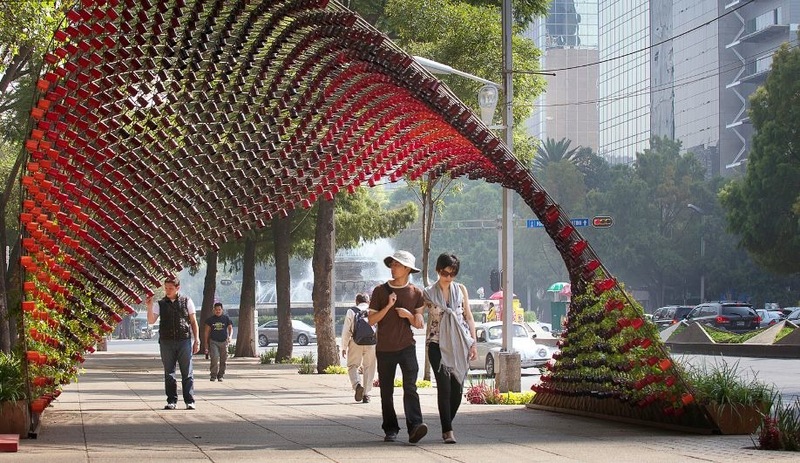 Along Mexico City’s Paseo de la Reforma avenue, a sculpture made of mugs encloses the sidewalk in a sweeping arch. 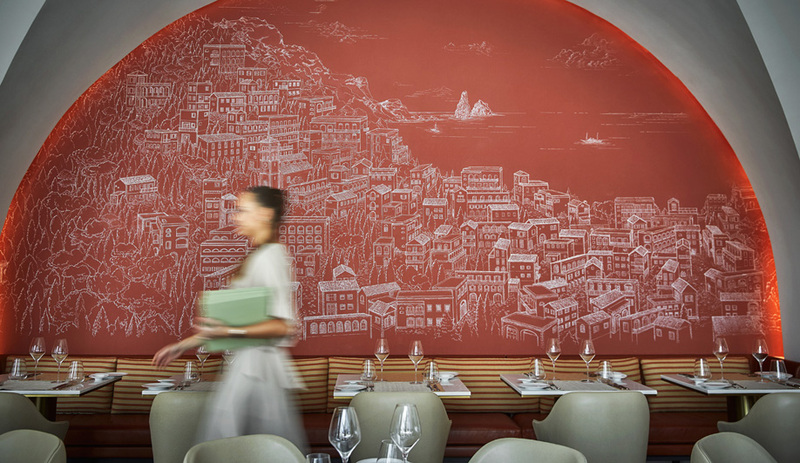 Take something as simple as a metal coffee mug and turn it into a dynamic piece of street art. 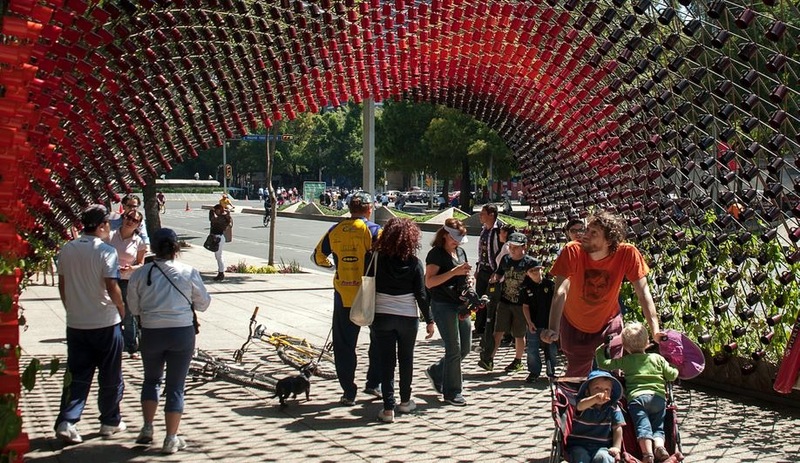 That was the challenge Nescafé put to eight groups of architects and artists in Mexico City recently. For his entry, Michel Rojkind of Rojkind Arquitectos began with an overarching idea – the pavilion’s saddle-like shape, a swooping curve that establishes the installation’s sense of movement. One basic requirement was to use no more than 1500 mugs. 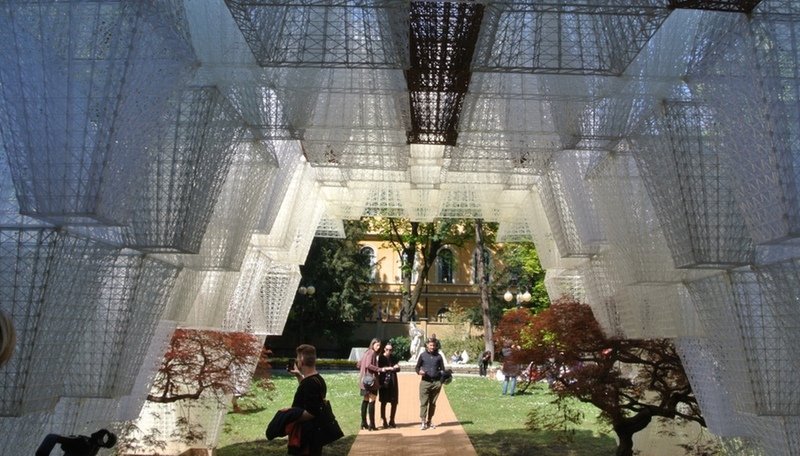 Rojkind used rebar to fashion a lattice of arches that vary in length from 10 to 12 metres. 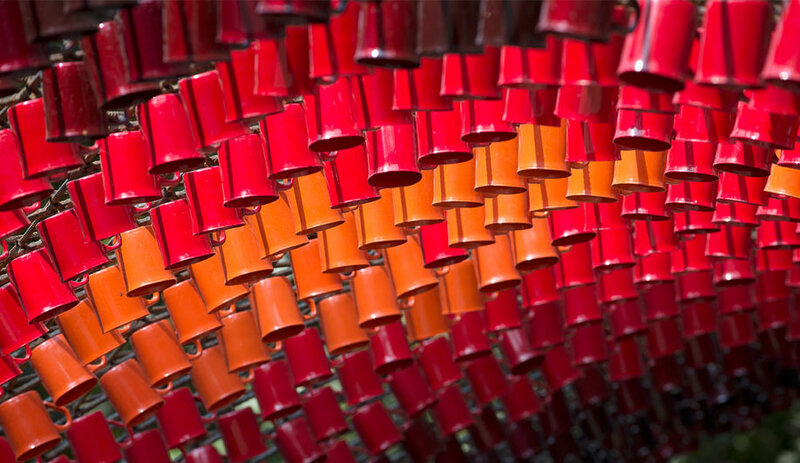 Crisscrossing over a piece of city sidewalk, the framework creates 1497 intersections from which to hang the mugs, using all but three of the allotted vessels. The rebar is anchored on both sides by steel planters that contain climbing vines, which, in time, will cover the pavilion with leaves, hiding the mugs inside. 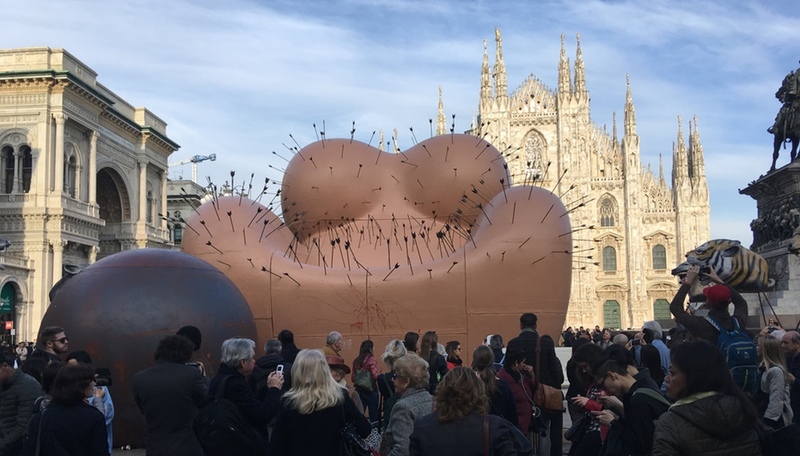 Painted in a range of reddish hues from orange to crimson, the mugs gradate across the arch to enhance the sweeping appearance of the sculpture. 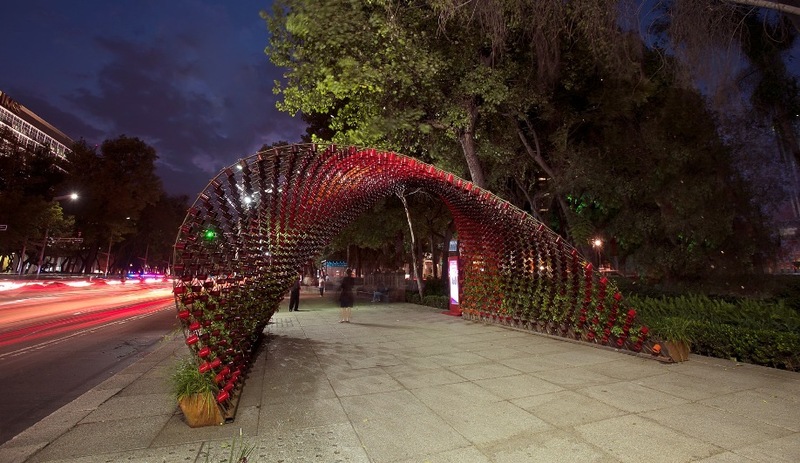 The piece will remain in place through the winter months, casting dynamic patterns along the famed Paseo de la Reforma avenue as the sun moves across the sky.